Dr. Pharo & her staff invite you to visit our New Location and enjoy Duck Ponds, Walking Paths through Pine Trees, Relaxing Gazebo and our New Office Designed to Help You Awaken Your Health with Dr. Pharo's Unique Medical Practice & Friendly Staff! ENJOY SLIDE SHOW OF "PRESERVE OFFICE PARK"
environment with Dr. Arlette Pharo. At the Beginning of 2015 Dr. Arlette Pharo Moved into a Beautiful New Office Location in "Preserve Office Park" located off 610 Loop North between Ella Blvd and TC Jester East. 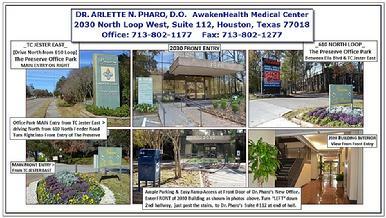 Dr. Pharo's New Office Address is 2030 North Loop West, Suite 112, Houston, Texas 77024. 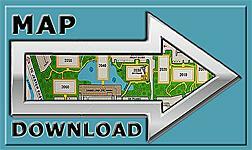 NOTE: Dr. Pharo's Office Building Address is NOT Visable from 610 N. Loop Freeway or N. Feeder. 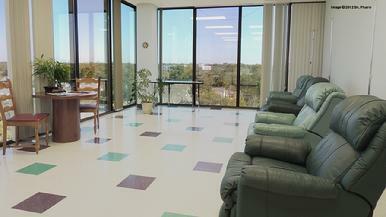 ENTER "The Preserve Office Park" from "either" 610 N. Loop Feeder Road "or" TC Jester East. Free parking is available in Front & Back of building. A Good Landmark in Front of Dr. Pharo's Building #2030 is the "US Postal Blue Mail Box" in the Middle of the Main Drive Through the Office Complex Parking Lot. Dr. Pharo's Building Entrance is Directly Behind the Blue US Mail Box as shown in photo below. There is plenty of Handicap Parking available in Front of 2030 Building and a very "Easy Access Ramp" into the 2030 building. Dr. Pharo's New Office Suite is located on the 1st floor just a short distance from either the front or back entrance. No need to wait on elevators, Dr. Pharo's 1st floor office spans the entire South East corner of the building. There are easy access Public Bathrooms on the 1st floor. In addition, there is a small Deli in the Building next door. Our patients have much to look forward to when visiting Dr. Pharo's New Office, most importantly, our expanding "AwakenHealth Services, Protocols and Treatment Plans"! Dr. Pharo designed her beautiful large Infusion Room with comfortable lounge chairs and floor to ceiling windows with a view to make infusion therapies a comfortable healing experience. Dr. Pharo's Office has Floor to Ceiling Windows in most rooms with views through the pine trees, ducks walking by and squirrels playing in the landscape. The AwakenHealth Medical Center’s Infusion Room caters to nutritional I.V.’s, chelation therapy, and more. 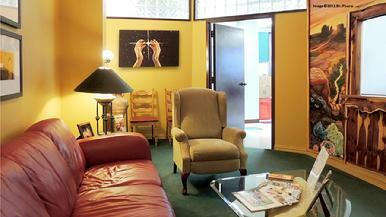 Patient exam rooms also have private comfort, healing music and an invitation to AwakenHealth. Dr. Pharo previously had her medical office on 20th Street for 15 years in the Historic Heights area where she commissioned a well known artist to create a large mural that surrounded the Check-In Window in her Waiting Room. Dr. Pharo is currently converting this Beautiful Mural to be mounted in her New Office Infusion Room and it will span an entire wall. Instead of a "Check-In" Window, Patients will enjoy a large screen HD-TV displaying "Healing Images" and "Playing Inspirational Music". This one of a kind mural, called the “Journey into Healing", was painted by a local Houston artist for Dr. Pharo and designed exclusively for her medical practice. Dr. Pharo wanted this art to be an inspiration and an invitation about each patient's healing journey. Surrounded By Pine Trees, Landscaping, Duck Ponds. on Right Side & Back View of The Duck Pond Bridge. goal to create something New in life." thought up only a little more than a century ago? up what is already there." 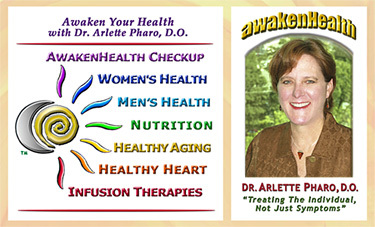 "CLICK" Above for Dr. Pharo's Programs and Services. "Treating The Individual, Not Just Symptoms"
with more pictures and information! "CLICK" on the �PHONE NUMBER� Above for Appointment Info, Address, Active "Map Quest" Driving Directions and Ways To Contact Dr. Pharo.